There’s no doubt that you’ve heard of Bruno Mars, in fact I’m sure you’re either sang or boogied to plenty of his music, whether you realized it or not. Bruno Mars has fans of all ages and his fan base just continues to grow. Just to name a few songs of his that you may know, there’s Grenade, Just The Way You Are, Locked Out of Heaven, It Will Rain, The Lazy Song, Uptown Funk, Nothin’ On You, When I Was Your Man, Marry You and so many more. If you look below, we will try to have a video playlist of many of Bruno Mars songs. So now it’s official, Bruno Mars and his ‘24K Magic World Tour‘ has finally been officially announced, and the trek is quite huge. At first, fans were squirming impatiently because Bruno Mars had a single concert set, and a small handful of Las Vegas shows. Now, however, fans can scream with glee. Bruno Mars will be on the road performing in 2018 from mid-September all the way through the end of the year including new years eve, and that’s just North America. Then it’s off to international venues. In support of his latest studio album release, 24K Magic is now a world tour. Best bet is to keep checking back with us, as we will update the page with Official information as it comes out. For now, check out the Official concerts Bruno Mars has planned (see below) and you can look for tickets if you dare, and also check out some cool music videos of his. 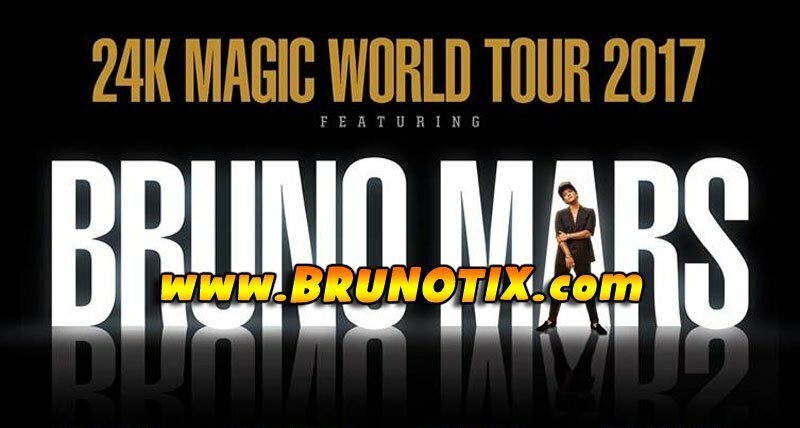 Don’t miss your chance to see Bruno Mars on his 24K Magic World Tour! Will BRUNO MARS Announce More Show Dates For 2018? You’ll Have To Wait and See! Like we said, check back often to see if Bruno Mars adds more concerts. MUSIC VIDEO – BRUNO MARS PLAYLIST – Over 200 songs!